I've had this recipe in my Que and on my mind since last winter, it isn't until now that I actually got around to making it. I'm kinda sad I didn't make it sooner, It really was worth the wait. 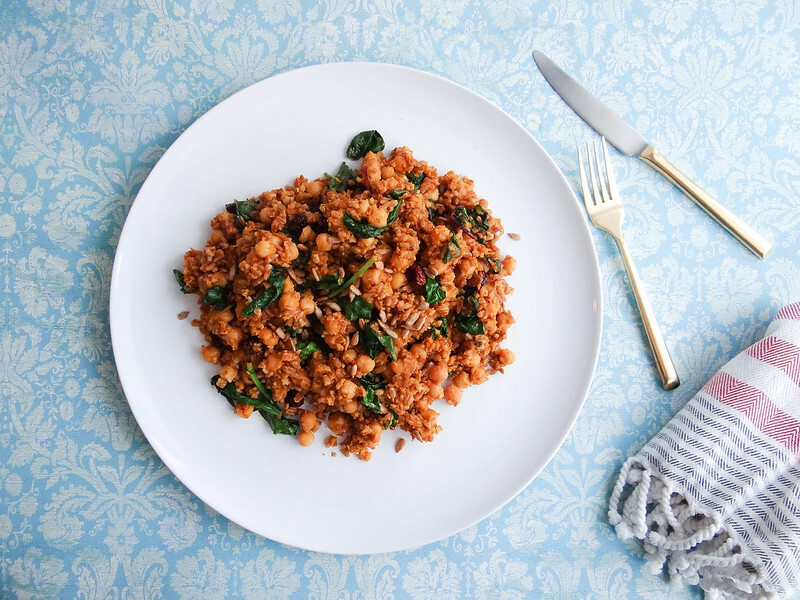 Farro is one of those grains that I don't use often enough. Every time I use farro in a recipe I think to myself this is so good why don't I cook with farro more often...then it gets pushed back into the dark corner of the pantry forgotten until another year has passed. I think we have had this discussion before, but what really constitutes as a salad? This is a warm Salad of sorts, but could definitely be served at room temp. It would even be great served over a bed of fresh greens such as arugula or baby spinach. I restocked my Farro stash with an Organic NON GMO Farro from NOW Foods, it also has the added bonus of being grown in the USA / / double win! 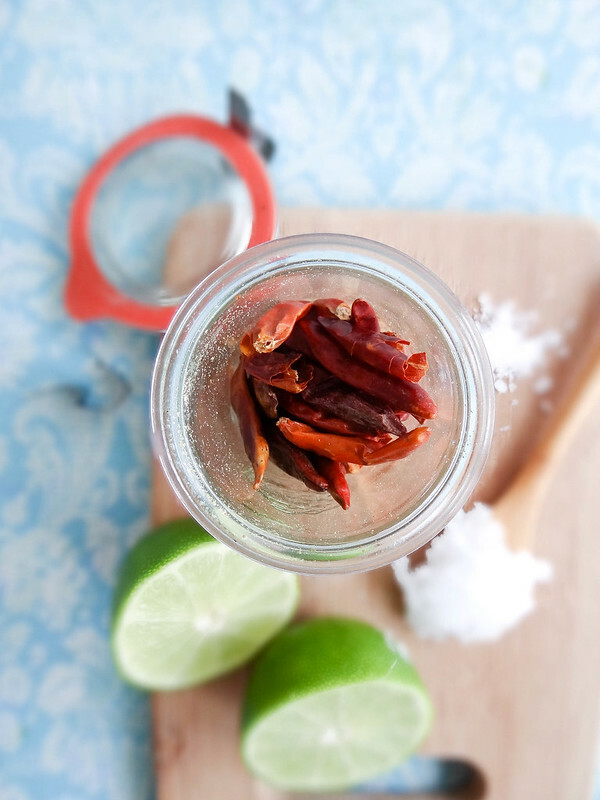 The dressing is super simple // garlic, lime, hot pepper, coconut oil and sea salt. 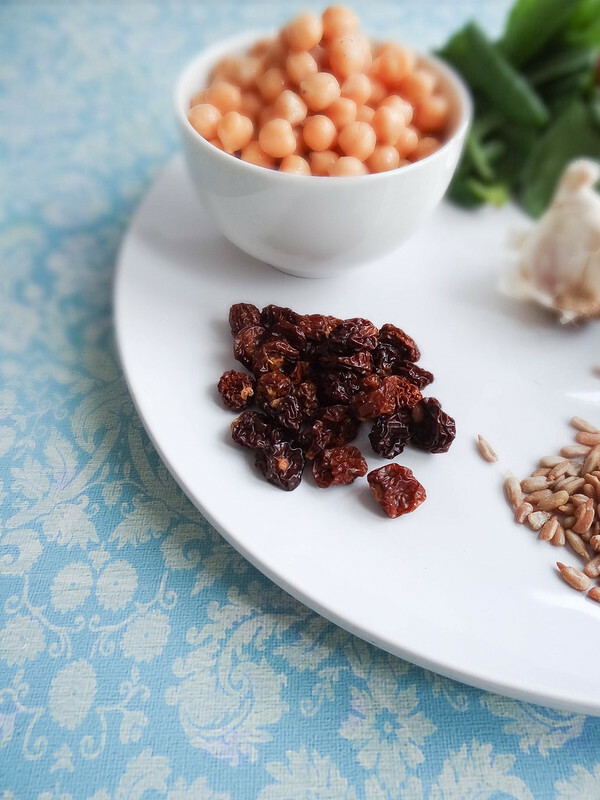 Chickpeas add additional protein, sunflower seeds crunch and the golden berries (also known as Inca Berries) add a welcome tartness to the overall dish. 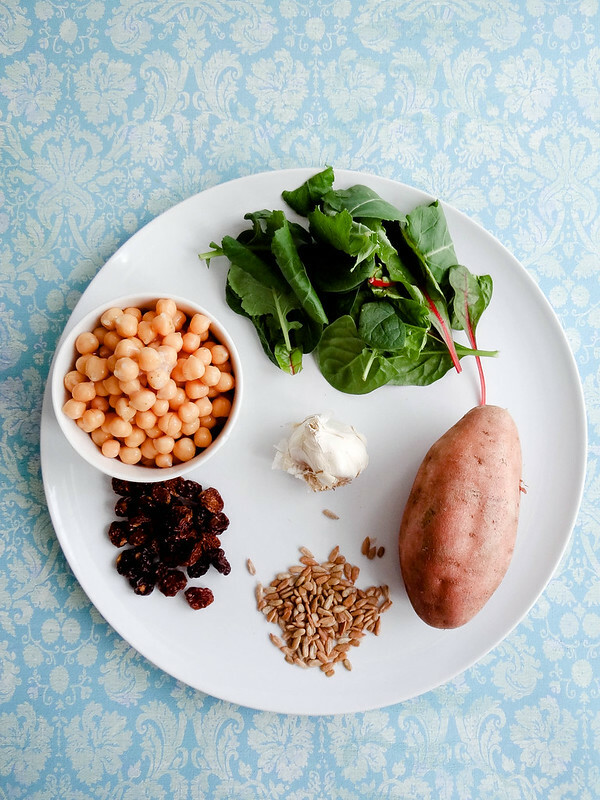 Wanna make this salad at home but not sure what the heck golden berries or farro is let alone where to buy them? NOW Foods has got you covered- they are offering one lucky reader a NOW Real Foods Bundle to make this salad in your own kitchen! Cook the farro according to package instructions // my ratio was 1 cup dry farro + 2 1/4 cups of water cooked for 20 minutes. While farro is cooking. 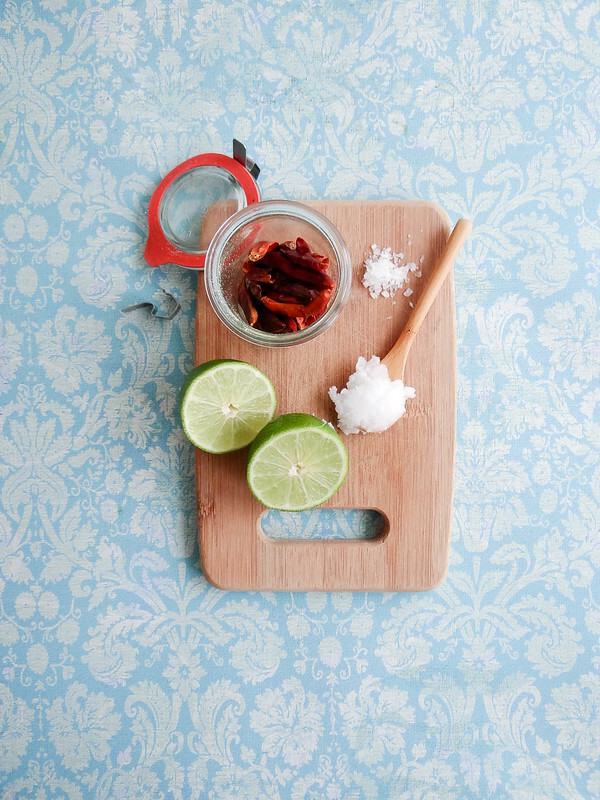 Shred your sweet potato and heat coconut oil over medium high heat in a large skillet. Saute sweet potato until sweet potato begins to soften and crisp up a bit. Add chickpeas and cook about 2 additional minutes continuously stirring to prevent the sweet potato from sticking to the pan. 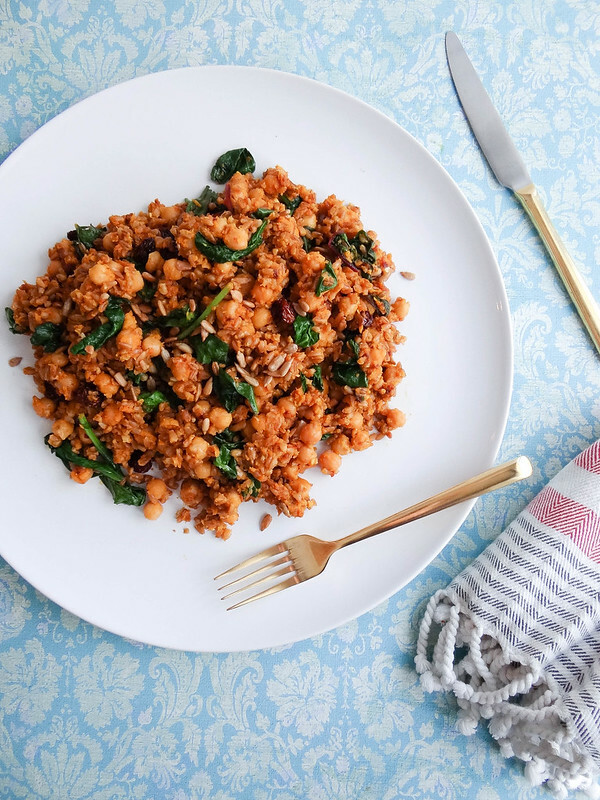 Reduce the heat to medium / low, add cooked farro, golden berries and sunflower seeds, stir until incorporated into the sweet potatoes and chickpeas. Add the greens and salt tossing with the farro to - greens should begin to slightly wilt. In a small bowl combine all dressing ingredients and mix. Drizzle dressing over the Farro Salad and toss / mix salad to evenly distribute dressing. Transfer to a serving platter or serve straight from the pan. Best served warm or at room temp. Will keep up to a week. When reheating, add a small amount of water to the pan or dish. I have always loved Now Foods products! And I especially love them now that I know they're committed to sourcing products a little closer to home. 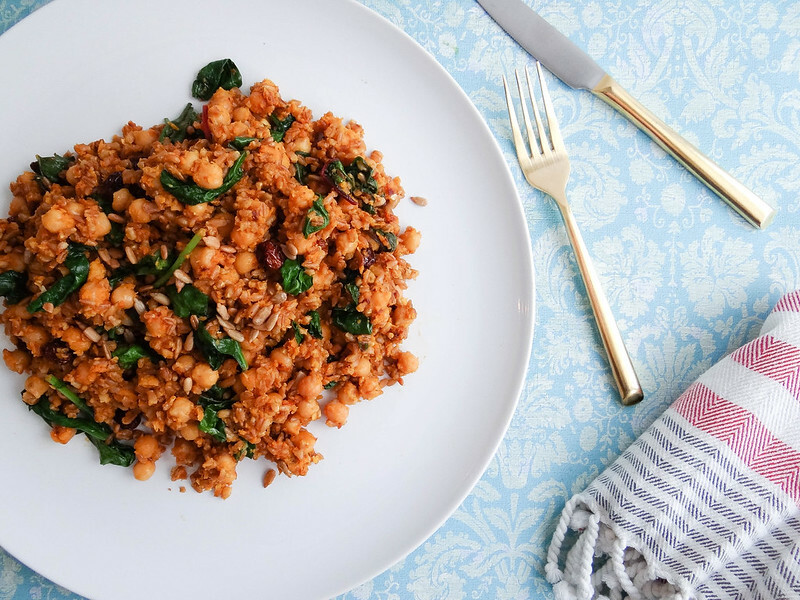 Can't wait to get my hands on some farro so I can try this hearty salad. Wow. This looks really good. Do you know if I can order Now foods from there website? I love farro! I use it in place of rice pretty much all the time. 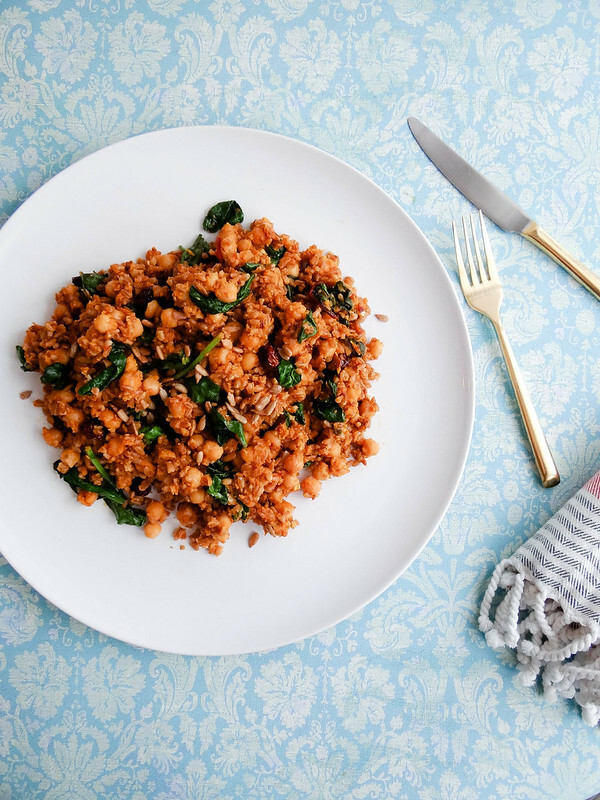 Farro is one of my favorite grains. I love its size and chewiness. Tiny grains/seeds like quinoa or amaranth have a texture I don't like, but I'm all about big chewy grains. 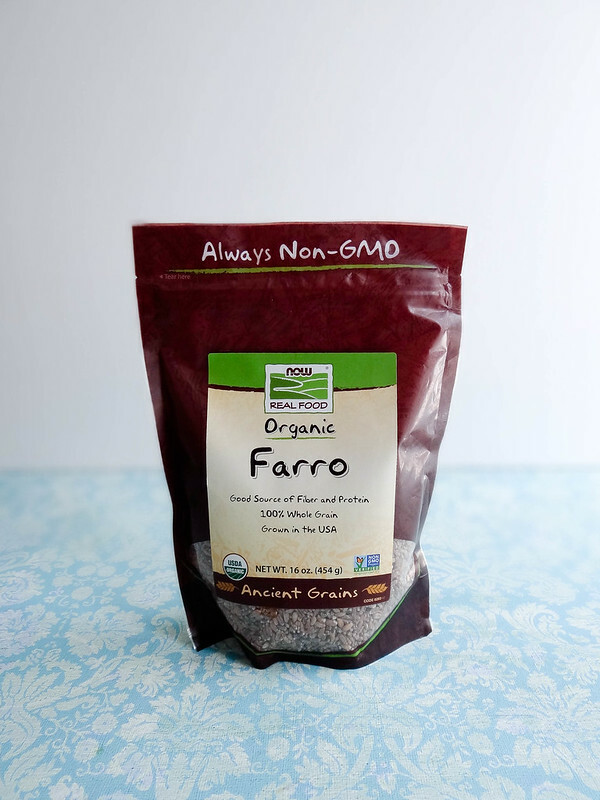 I haven't tried farro but I would love to! Looks delicious. This is really nice to read a easy and fantastic recipe like this. I would prefer it with some sauce and what can that be? This is a great motivational article. I am very happy with your good work. Really useful information Keep it up. For cheap hosting visit here 1 dollar domain , godaddy 99 domain , Top 10 web hosting 2019. Keep blogging going. Looking to reading your next post.